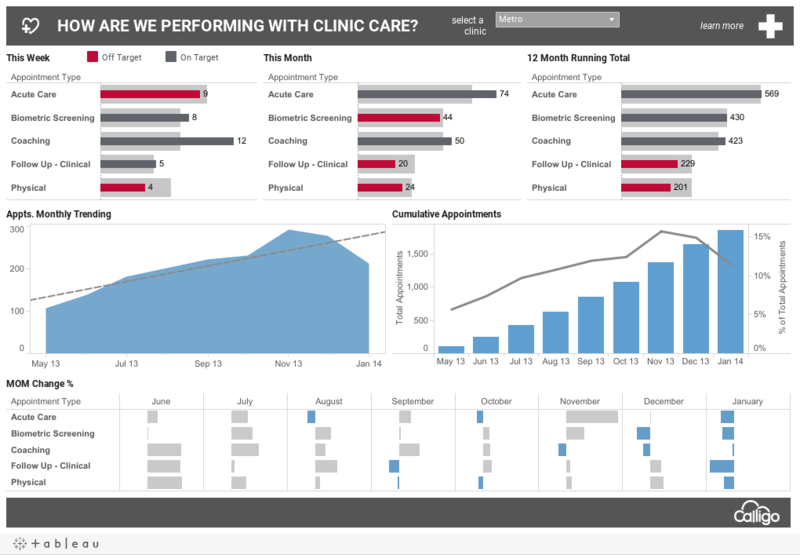 The Decisive Data team leveraged visual best practices in combination with Tableau to produce a series of dashboards. Using color to drive meaning, off target metrics were designed to provide instant cognitive insight for users. Stakeholders now have live web based dashboards that provide analytics at a glance. They are spending less time managing data processes and more time making strategic business decisions.